Developing a game is tough. You need to build a community of fans around your project and use the best tools available to help you keep going. A few weeks ago we wrote a post on How To Enhance A Crowdfunding Campaign. Now we’re back with a new post giving Indie Game devs marketing & PR tips on how to make the most of Sketchfab. 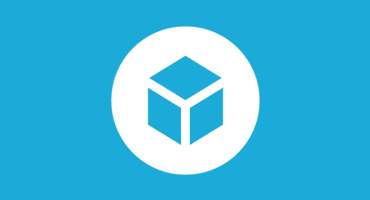 Why use Sketchfab to showcase your 3D assets? This short video will show you how game studios and indie game devs are using Sketchfab to their advantage. To promote your game, to showcase 3d assets or to help with your PR, possibilities are endless! Promote your game with Sketchfab from Sketchfab on Vimeo. There are tons of ways to make use of Sketchfab’s 3D viewer to your advantage, be it a low-poly world of wonder or detailed characters. Here are some of the uses that caught our eyes. Kôna is a recently funded adventure game. It comes with some gorgeous detailed props. When to use a real-time 3D viewer? During development you can use Sketchfab to illustrate progress being made and leverage our community to get feedback on your game art. Include some assets in your dev log, ask for feedback from the community, and tease gamers with your models. After you’ve officially launched, Sketchfab is a powerful tool to keep up with your fans and attract new gamers. This scene of the game was captured using the PackerPro plugin for Unity3D, learn more about the process here. Capturing an in-game scene helps backers get an in-depth view of your game art, without having to install anything, not even a plugin! Now that you’ve seen the gorgeous OTTTD tutorial level, you wanna get on the battlefield right? If you have a demo for fans to play with after that it’s even better. A cool way to do a walk through your game like the guys from Toco Games did for the newly released Last Knight. Hex Heroes got funded last April, since then the guys over at Prismatic Games have been using Sketchfab 3D viewer to share updates about the game characters. Check out their Updates page on Kickstarter. Since making a campaign on Kickstarter comes down to bringing together people enthusiastic about your idea, you’d better show them how you progress. You can also ask journalists and bloggers to illustrate a review of your game with a Sketchfab embed among other media like a trailer or gameplay video and screenshots from your game. Here’s a great example on Kotaku about Born Ready Games’ Strike Suit Zero. – If you’re about to launch a crowd funding campaign to fund the development of your game, you can embed real-time 3D on Kickstarter & Indiegogo. – Unity Forums (we recently organized a 1990’s Platform Art Challenge with them) and Unreal Engine Forums, as well as the Polycount forum are all great place to talk about you game and get valuable feedback. – IndieDB, use our viewer to showcase to assets on your game page and build your audience. – We’re also integrated on Facebook (how cool is this page from Tactical Heroes? ), Reddit and LinkedIn. – We also curate some game content on a dedicated folder and often put that content in front of our community on social media and in our Staff Picks gallery: tip us off with cool game models you want us to include! – PressKit(): A free and reliable pre built press kit. Brandfolder is also worth checking out (easy to add 3D assets on your press kit). – Unity3D resources: these two videos, among many other resources, are very valuable: Zero Budget Marketing and Indie Marketing Principles. Tell us what you think in the comments, we’re here to help!